This marvelous device allows those with false teeth to enjoy an equal opportunity to develop mouth cancer. Oh progress! 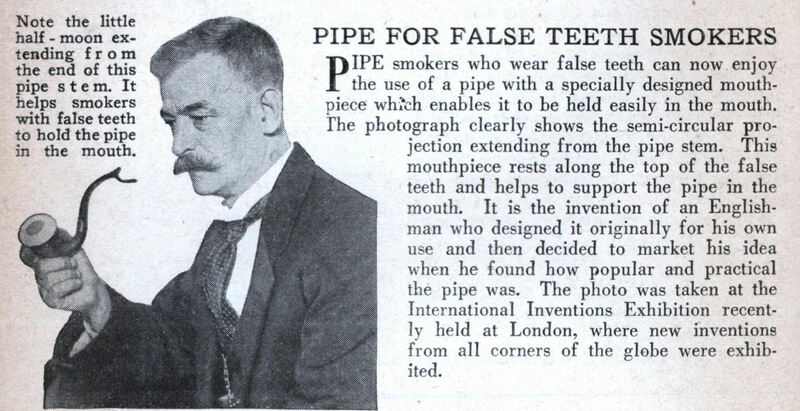 False teeth smokers? I didn’t know you could smoke teeth, but I guess that explains the tooth fairy.